At Linsly, our ultimate goal with every student, including international students, is to create an inclusive, integrated community where all students work side-by-side, learning from faculty members as well as from each other. While international students are an integral part of this learning environment, Linsly does recognize the need for special accommodations to assist these students in adapting to the everyday challenges of language barriers, academic requirements and social interaction. While all Linsly students are English proficient, we recognize that teachers must pay individual attention to the language needs of international students. To this end, teachers offer extra help and tutoring when necessary. 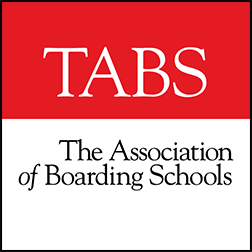 Several AP classes are available for those students seeking admission into the most competitive American colleges and universities. The Admissions Office evaluates each candidate on the basis of the individual's potential for success in this environment. 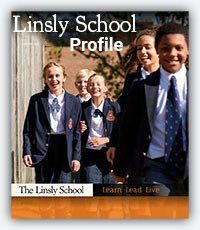 Historically, our international students have ranked among the most successful of all Linsly students. They are truly an exceptional group of individuals. Even more importantly, international students live, study, and socialize with American students, immersing themselves into an environment where they are constantly learning the English language through daily interaction and conversations with friends and teachers. Through this environment, international students enjoy spending time off-campus with Linsly students and faculty, often joining them for dinner, church, and even long weekends and holidays. By providing our international students with both faculty and family support systems, they become thriving members of the Linsly community. Because of additional expenses incurred by enrolling an international student, there are certain fees that students without a United States Passport must pay.